Would Jesus have come if there had been no sin? This question has taxed the minds of the greatest theologians of the Church. Two renowned theologians immediately come to mind in such a debate: the Dominican St. Thomas Aquinas and the Franciscan Blessed. Duns Scotus. The Thomistic position is that Jesus came due to sin, in contrast, the opinion that the Incarnation was in the plan of God from the beginning of creation, is the Scotist position. 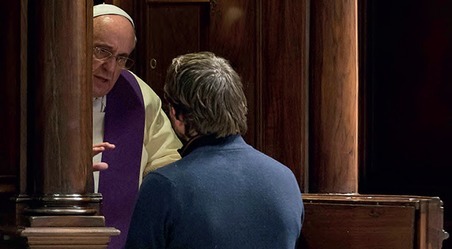 It is the intention of this article to examine the reasons why these two theologians held their opposing views, and also to indicate the Holy Father’s position in this matter, in specific relation to the Mass. "For the Son of Man is come to seek and to save that which was lost.(Lk. 19:10)” It is this quote which St. Thomas uses to sum up his position. He sees no reason to believe that Jesus Christ would have come without the advent of sin, as in his opinion e the sin of the first man is assigned as the reason for the Incarnation everywhere in the Sacred Scripture. Therefore, for St. Thomas the work of the Incarnation was ordained by God as a remedy for sin. Had sin not existed, the Incarnation would not have happened. For Scotus, the Incarnation of the Son of God is not to be seen as a contingency plan when the original creative process of God goes awry because of sin: It was the very reason for creation. In his view it surely demeans the great work of God in making us his sons and daughters to see the incarnation as just accidental or occasional. Duns Scotus saw it as inconceivable that the Incarnation, the ‘greatest good in the universe’, could be determined by some lesser good, i.e.Man’s redemption. In the Divine plan of creation, it was the Incarnation that came first, and it was only fro the sake of this that there was creation at all. Christ is at the centre of the universe as the very reason for its existence. The emphasis on the coming of Christ is not as an assuager of the universe’s guilt, but as the supreme manifestation of his love for creation. Due to this Scotist position, Franciscans would credit their theology of the Incarnation as being based on love rather than sin. The view that God created out of love is key to Scotus’ understanding of creation. Creation is called to love, as it is infused with the love of God, and it is fitting that the highest object of creation’s love should be God himself, for nothing within creation could be a more fitting object of love than the God who lovingly created. So God created in such a way that it should love, and above all love Him. Now for creation to be able to love to the highest extent, there must be at least one creature capable of the highest love. That creature is Christ, for only a human nature united to the divine nature in one person could love to the highest extent, the extent to which God loves. Since the whole of creation is made for Christ, then for Incarnation to come about there had to be withincreation a nature capable of understanding and freely responding to God’s love. Humanity is free to love and has the capacity to understand God, precisely because such a nature is desired by God to be united in Christ to the divine nature of the Son. “as an absolute and primary purpose of God in the act of Creation”:.. “[Christ was] like a blameless and spotless lamb, who was foreordained from the foundation of the world.....This is the blessed end, on account of which everything was created. This is the Divine purpose, which was thought of before the beginning of Creation, and which we call an intended fulfilment. All creation exists on account of this fulfilment and yet the fulfilment itself exists because of nothing that was created. Since God had this end in full view, he produced the natures of things. This is truly the fulfilment of Providence and of planning. Through this there is a recapitulation to God of those created by Him. This is the mystery circumscribing all ages, the awesome plan of God, super-infinite and infinitely pre-existing the ages. The Messenger, who is in essence Himself the Word of God, became man on account of this fulfilment. And it may be said that it was He Himself Who restored the manifest innermost depths of the goodness handed down by the Father; and He revealed the fulfilment in Himself, by which creation has won the beginning of true existence. For on account of Christ, that is to say the mystery concerning Christ, all time and that which is in time have found the beginning and the end of their existence in Christ. he Centrality of Christ in the plan of Creation One of Cardinal Newman’s “tests” of a true development of doctrine was early anticipation. As I have indicated in a far from exhaustive study, there is clear evidence that the “Scotist” understanding of the incarnation is part of the thinking of some of the fathers of the Church. The work of creation culminates in the greater work of redemption. The first creation finds its meaning and summit in Christ, the splendour of which surpasses that of the first creation”.(CCC.349) . We can now examine the Holy Father’s position on this issue. We will consider just a few of his references which refer to Christ from a cosmological viewpoint, concentrating on his teachings on the Mass with reference to its cosmological significance, We will hopefully demonstrate that the Pope holds the Scotist position. “The Incarnation of God the Son signifies the taking up into unity with God not only of human nature, but in this human nature , in a sense, of everything that is ‘flesh’: the whole of humanity, the entire visible and material world. The incarnation, then, also has a cosmic significance, a cosmic dimension. The ‘first born of all creation’, becoming incarnate in the individual humanity of Christ, unites himself in some way with the entire reality of man, which is also ‘flesh’ - and in this reality with all ‘flesh’, with the whole of creation.”(n.50). There are many other occasions when the Pope makes clear his vision of the cosmological dimension to the Incarnation, and it would follow that once Christ is seen as the fulfilment of all of creation, then one must envisage the Incarnation as part of the plan of God from the beginning, and not dependant on the sin of Adam. “This varied scenario of celebrations of the Eucharist has given me a powerful experience of its universal and, so to speak cosmic character. Yes, cosmic! Because even when it is celebrated on the humble altar of a country church, the Eucharist is always in some way celebrated on the altar of the world. It unites heaven and earth. It embraces and permeates all creation.” ( n.8). One cannot get much clearer evidence of the Christocentric perspective of the Holy Father which embraces all of time and history than when he says:“Already at the dawn of creation, therefore, the plan of God implied Christ’s ‘cosmic mission’.” (n.8). The Pope sees the sweep of the Incarnation embracing all time past, present and future. He quotes from the prayer at the Easter Vigil, when the priest addresses the Easter Candle and refers to Christ as “‘the beginning and the end, the Alpha and the Omega’...... These words clearly attest that “Christ is the Lord of time; he is its beginning and its end:every year, every day and every moment are embraced by his Incarnation and Resurrection, and this become past of the ‘Fullness of time,’”(n 74)and again, he notes thaat when the priest saysthe doxology at the end of every Eucharistic prayer, “the Christian community thus comes to a renewed awareness of the fact that all things were created through Christ” (n.42). It is clear therefore that through Scripture and all that we know about the Incarnation, far from the full plan of God in Christ being hidden, we can concur with the Pope when he indicates that the mind of God for creation has been fully shown to us in the Incarnation. 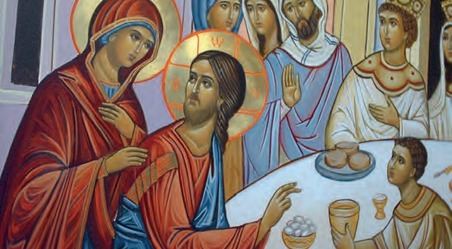 “The active presence of the Son in the creative work of God is revealed fully in the Paschal Mystery.....in which Christ established the new creation.” (Dies Domini n.8) Christ reveals the fullness of God’s plan for creation, with or without sin. The Thomist/Scotist debate has serious consequences for theology. It fundamentally affects how we understand the Incarnation, and whether we see it as just a result of sin, or as the fulfilment of a plan from the very beginnings of creation. And it also has serious consequences for present day science if Christ is to be seen as the fundamental answer as to why the universe is here at all. It is understandable that many of us are accustomed to consider the works of Saint Thomas and Thomism, as the predominant and favourable points of orientation to the Church. This article clearly indicates a view that is contrary to that held by St. Thomas. However there exists the possibility of a number of orthodox ways of expressing the mysteries of our faith, and the Pope himself refers to Bl Duns Scotus as a “pillar of Catholic Theology”. Countless other great minds honoured by the Church, like St. Francis de Sales, held the same position as Scotus. Recognising that the Incarnation is part of the original plan of God has immense consequences in our understanding of Mary. In November 1998 the Pope referred to Bl. Duns Scotus as the “poet of the Immaculate Conception,” in reference to his contribution of providing a theological explanation to that doctrine. It is apt that we end with a quote from the Holy Father concerning the undamental role Our Lady plays in the history of salvation. In his letter on the occasion for the 12th World Day of the sick in 2004, he informed us that due to Mary, the original plan of creation was restored, with the Immaculate Conception being the keystone of history. “The Immaculate Conception introduces the harmonious interlacing between the ‘yes’ of God and the ‘yes’ that Mary pronounced without reserve when the angel brought the heavenly announcement (cf. Lk 1:38). Her ‘yes’ in the name of humanity re-opened the doors of Heaven to the world, thanks to the Incarnation of the Word of God in her womb by the work of the Holy Spirit (cf. Lk 1:35). In this way, the original project of creation was restored and strengthened in Christ; the virgin Mother also shares in this project. Blessed Duns Scotus, Opus Oxoniense, 3, dist. 19, ed. Wadding, t. 7, p. 415. Quote taken from Chapter VI, “Dimensions of Redemption,” of the Collected Works of Georges Florovsky, Vol. III: Creation and Redemption, pp. 165. 60th questio ad Thalassium. Quote taken from Chapter VI, “Dimensions of Redemption,” of the Collected Works of Georges Florovsky, Vol. III: Creation and Redemption, pp. 169. L’Osservatore Romano, 13th March, 2002, p.6.